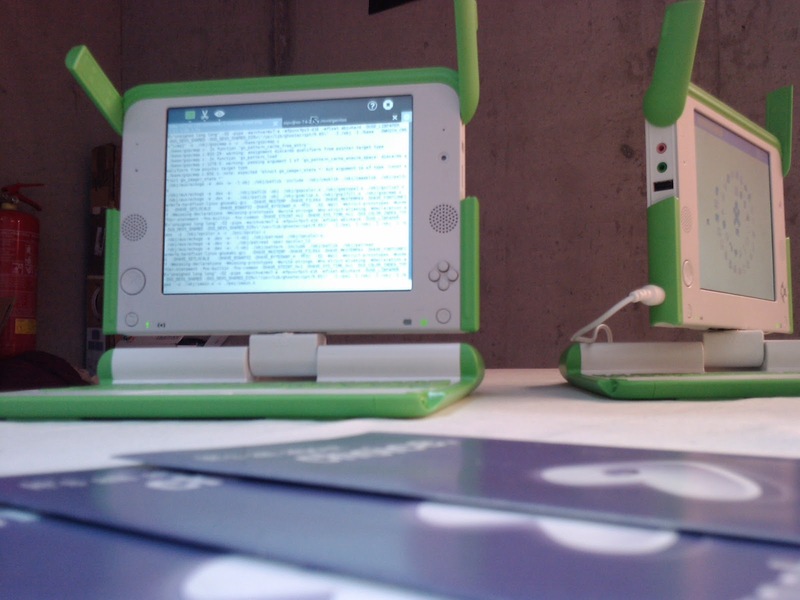 Currently at the Gentoo Miniconf 2012 in Prague, we have two OLPC XO-1.75 devices and are working to install Gentoo on them. These XO-1.75 is based on the Marvell Armada 610 SoC (armv7l, non-NEON), which promises countless hours of fun enumerating and obtaining obscure pieces of software which are needed to make the laptop work. More pictures of the Gentoo Miniconf can be found at the Google+ Event page.